Reed Hastings, the CEO of Netflix, the American DVD rental company, has given a vote of confidence to web TV. Speaking at New TeeVee Live in San Francisco, he explained how in an ideal world all TVs should have internet browsers to watch internet television. The problem is, the technology is not quite there yet. "In terms of what you want to watch, we may be 15 per cent of the way there, but this will grow with time," explained Hastings. "When you want to watch is covered 100 per cent, but when it comes to where you want to watch we're still limited to the laptop." To make web TV work in the home, Hastings believes you only need three components: broadband, HD screens and a new type of Wii-like TV remote. In fact, Hastings thinks that the Wii should be the template for web TV. 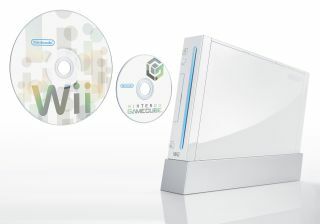 "The Wii is so close to what is needed [for web TV], but we need a hi-def Wii and we need it to support other codecs, such as Flash and Silverlight."